Having a place to call your own—whether you’re going to be there for four years or forever—is an essential part of the American dream. The U.S. Department of Veterans Affairs offers plenty of great programs to help those who have served in the military get there, but the process isn’t foolproof. People can (and do) make mistakes buying their first home, second home, or 10th home. You can avoid your own tale of woe (or head-banging frustration) by avoiding those mistakes before you start your home search. We asked VA-savvy Realtors® to tell us which missteps they see the most—and how you can do the whole thing correctly right from the start. When you’re buying through the VA, you’ll need to find a home that meets VA property requirements. A VA appraiser will have specific criteria; for instance, fixer-uppers (and even some newer homes) won’t qualify. Save yourself the headache of making an offer on a house that may not get approved, and work with a VA-experienced Realtor from the start. Veterans have access to arguably the most powerful mortgage option on the market, but about one in three home-buying veterans don’t know they have a home loan benefit, according to the VA. When you first meet with your lender, be sure to discuss your military status so you can be informed about all the potential advantages. One of the biggest benefits you’ll get with a VA loan is the ability to buy with 0% down (yes, we’re totally serious). VA loans also come with low-interest rates, don’t require mortgage insurance, and have more forgiving credit requirements. 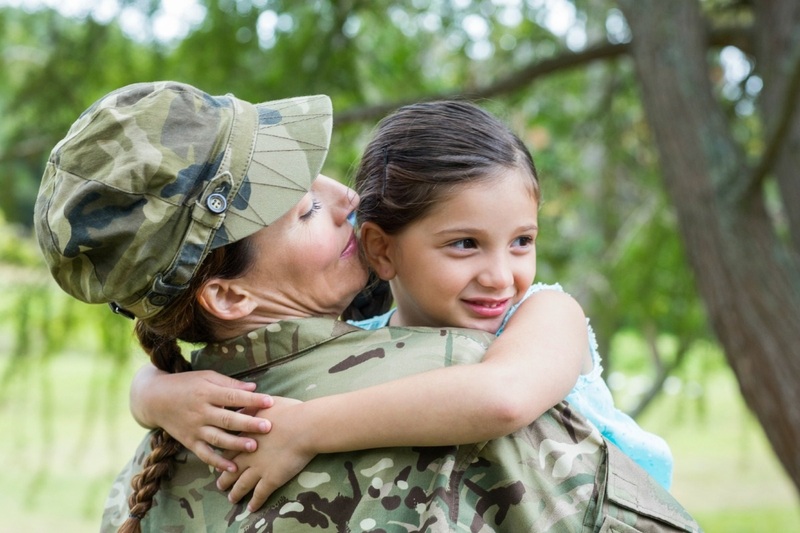 That’s right—pretty much everything will get easier as soon as your lender knows your military status, so speak up! While you’ll have a ton of financial advantages with your VA loan, you will have some costs to deal with. “Probably the biggest mistake I see is active-duty members coming into the home-buying process and not knowing there are other costs and fees necessary for buying a home,” Fraser says. When you’re buying a home, you’ll likely have to plunk down a bit of cash for things like a home appraisal and inspection. It might not cost much in the large scheme of things, but it’ll help speed things along if you come prepared knowing what you’ll have to shell out for. Maybe you think there’s no sense in buying if there’s a chance you might be relocated in the next few years. But that doesn’t mean you shouldn’t buy; in fact, that home could end up being a smart investment. By searching in high-demand areas or choosing a popular home style and size (like 1,500 to 2,000 square feet), you’ll give yourself a better chance at resale if you need to move later. Or, you can hang on to it and rent it out. Don’t like the idea of becoming a landlord? A VA loan is assumable (meaning you can transfer the loan and the property to another vet), or you can just sell the home to a nonmilitary buyer. And don’t forget: You can use your VA home loan benefits again and again, so you can own a rental property and a new home. Once you’ve found a home and your offer is accepted, you’ll probably be excited to just move in already and make it yours. Maybe you have an eye on a new big-screen TV, and you’re looking into financing a new living room set you love. But don’t do that yet. Wait until after closing to make any other financial moves, just to be on the safe side and to keep your loan on track.